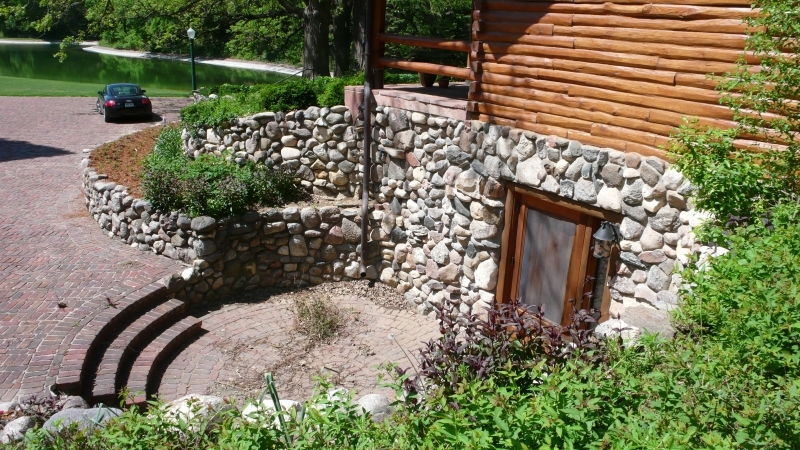 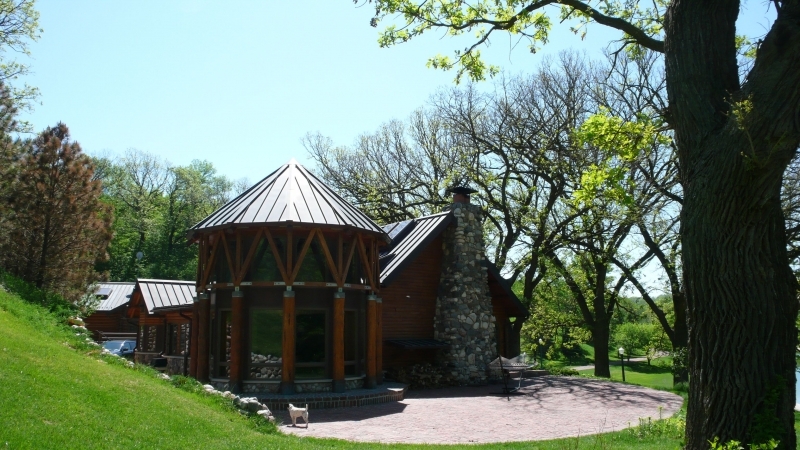 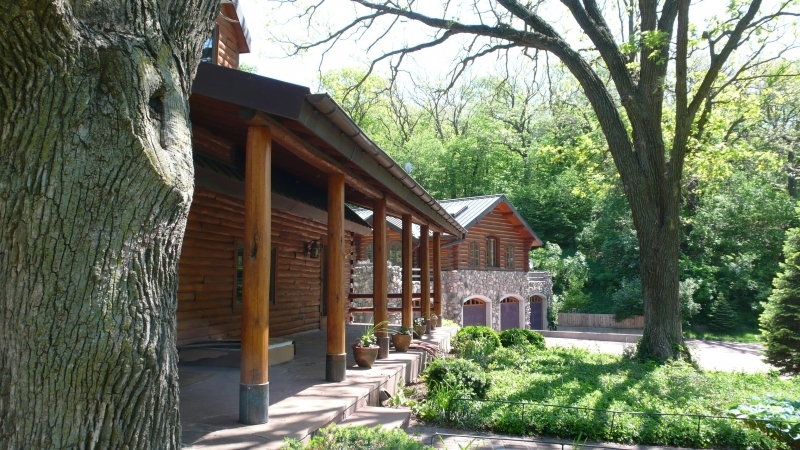 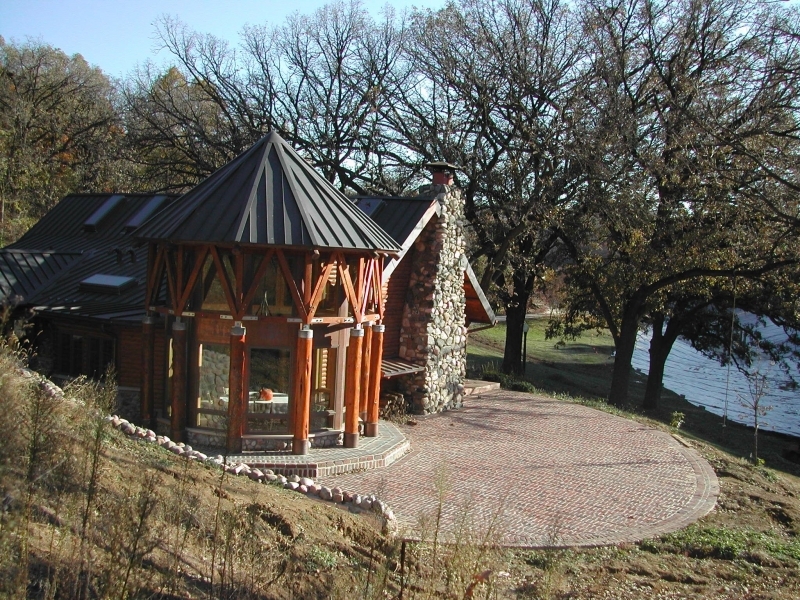 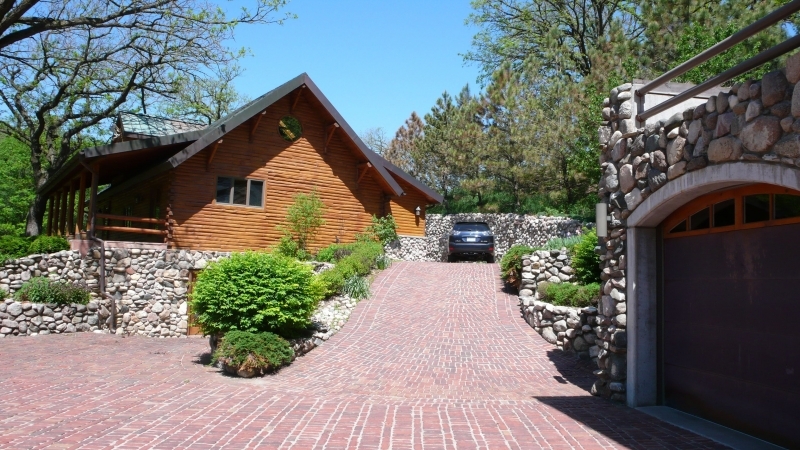 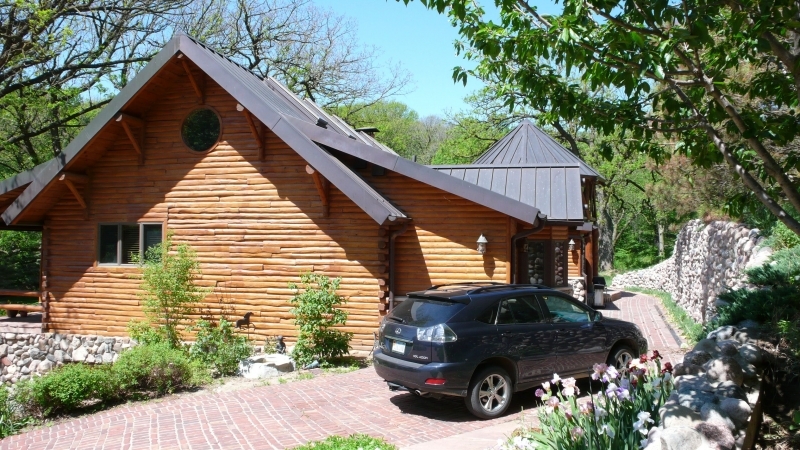 Located in the loess hills of Council Bluffs, Iowa, the extraordinary site for this log cabin complex is accessed from the highway via a private, gently curving, tree-lined brick paved road with antique style street lights, and meanders by a man-made lake leading up to a brick-paved automobile court, setting the stage for the style of living that occurs within. 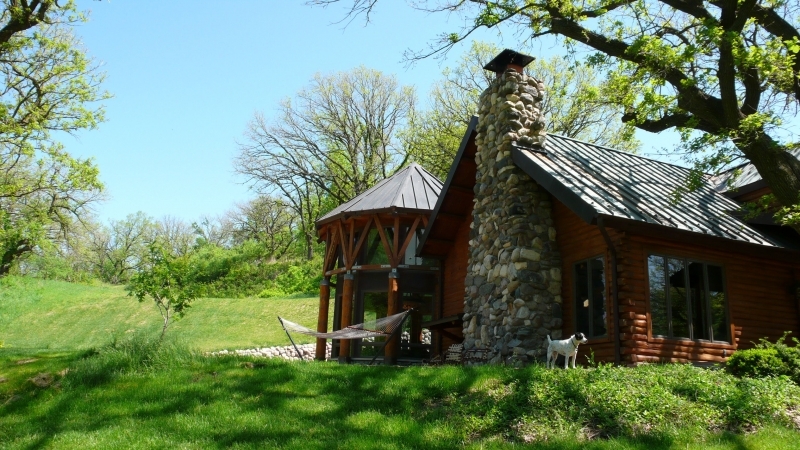 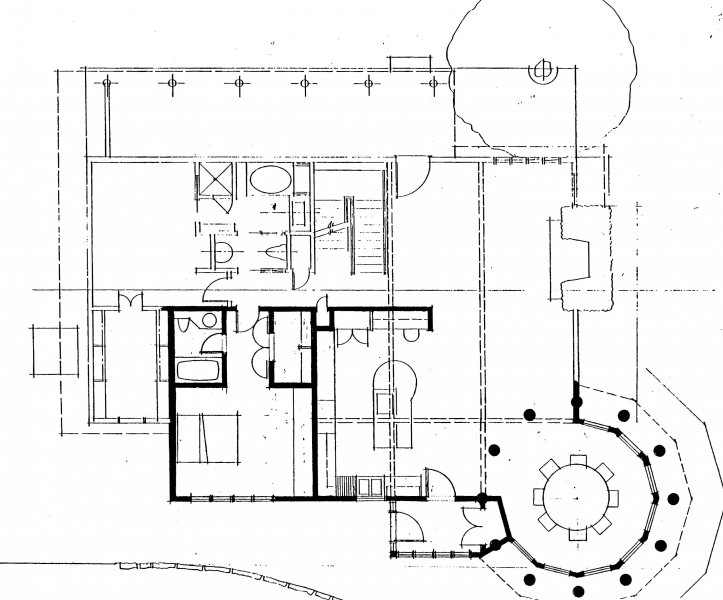 The owners of this cabin wished to remodel and expand the existing structure adding a new dining room and expand space for their daughter’s bedroom and create a larger kitchen area. 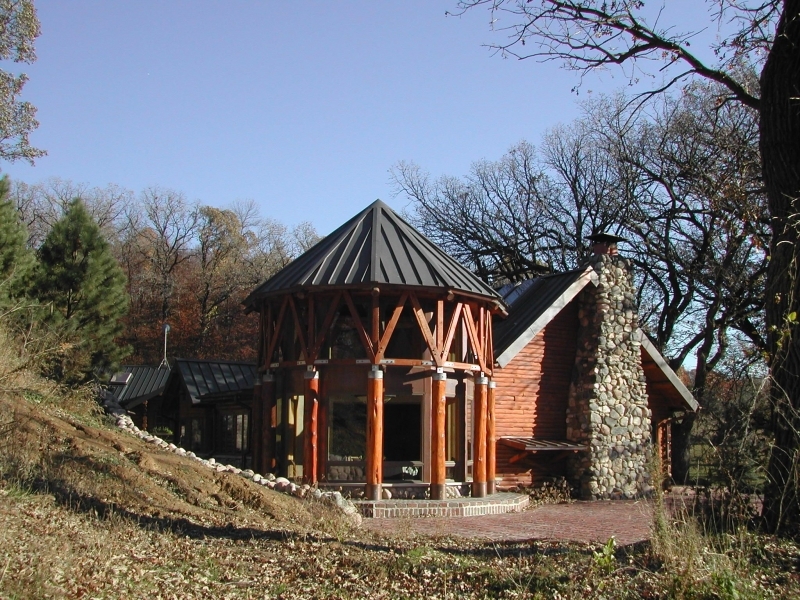 For the new dining room addition, a new log/tree style segmented circular shaped room with a copper roof, soaring two-story space with floor to ceiling glass, supported by log poles and heavy timber truss, was strategically placed diagonally off the corner of the cabin to take advantage of the spectacular views of the lake and for proximity to the kitchen/living space. 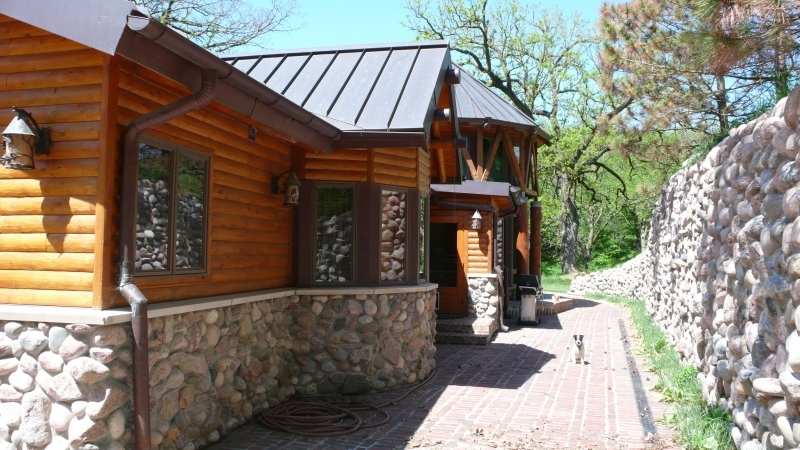 The kitchen, back foyer and daughter’s bedroom expansion were facilitated via a new shed roof connection to the existing, high-pitched standing seam copper roof. 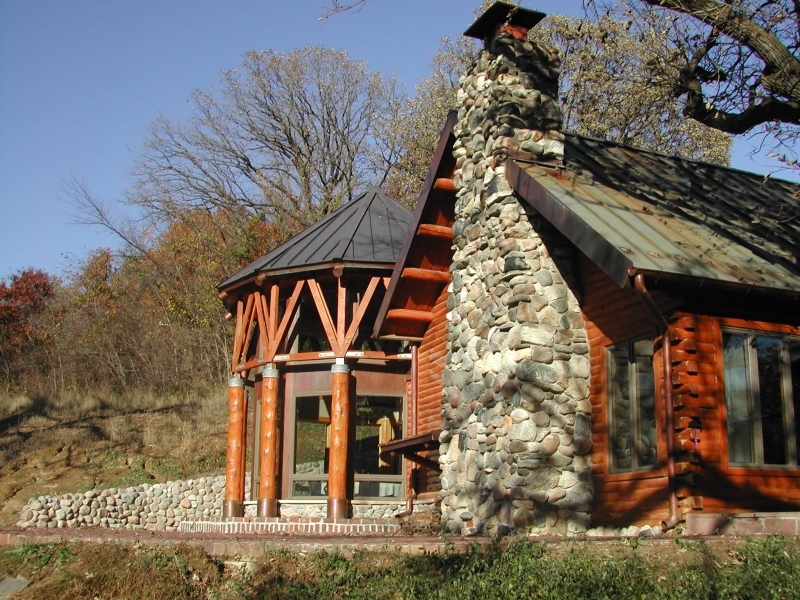 Exterior walls were constructed in the log cabin vernacular with river washed stone wainscoting to match existing construction. 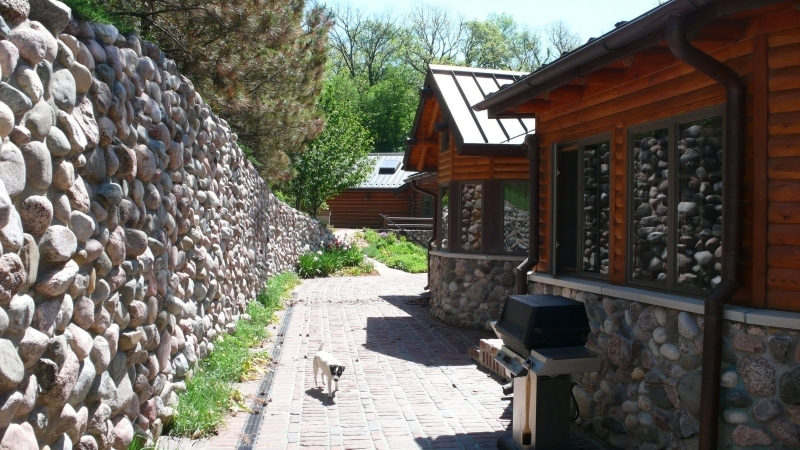 A massive stone retaining wall was cut back into the hillside to accommodate the new construction and to allow a rear, brick access drive.